If you don’t own a webcam, you should get one ASAP. It’s one of those things that seems unnecessary until you have one, and then it suddenly becomes useful for all kinds of things. In the past year, I’ve used my own webcam for home surveillance, one-on-one video chats, and multi-user video conferences. Other uses include vlogging on YouTube and streaming video games. If you’re keen on earning a bit of side income, there are even ways to make money with a webcam. And the best part? You don’t need to spend much at all. Webcams are quite affordable compared to other kinds of gadgets, and you can find several high-quality options for less than $60. But we’ve done the work for you! 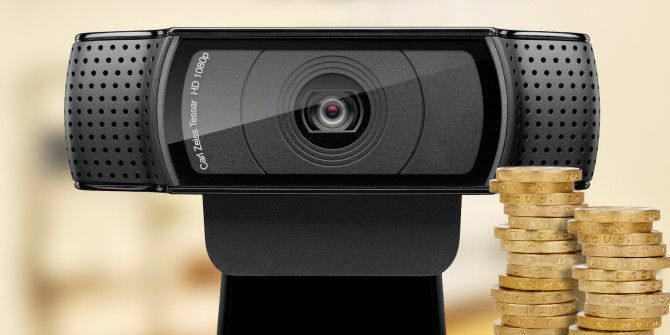 Here are the best budget webcams currently available. Webcams are simple, but there are a few things you should keep in mind before diving in. Knowing what the following specifications mean will help you make the best webcam decision for your budget. Resolution. The higher, the better. These days, a webcam with a resolution under 720p (1280 x 720 pixels) just isn’t worth getting. On the other hand, 1080p (1920 x 1080 pixels) is nice but unnecessary. Note that bigger resolutions require more bandwidth! Frame rate. The higher, the better. The standard right now is 30 frames per second, which isn’t exactly smooth but still good. Ignore any webcam under 15 frames per second. Note that while 60 frames per second looks great, it requires much more bandwidth. Adjustability. There’s nothing worse than a picture-perfect webcam that can only stare at the wall because it lacks adjustability. At the very least, it should tilt up and down. Trust me, you do not want to deal with the frustrations of a rigid webcam! Autofocus. 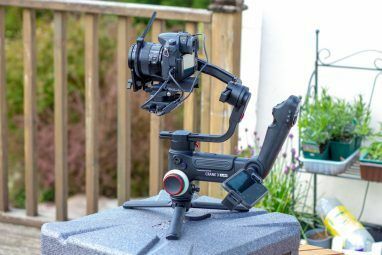 This is a convenience feature, but it’s a big one, especially if you’re going to be moving around a lot on camera (which includes leaning in and out or moving side to side). What about microphone quality? I’ve found that the built-in mics for most webcams, whether $5 or $50, are simply bad. They’ll do in a pinch, but if you actually care about sound, you should buy a dedicated microphone. These “podcast” microphones are great entry-level, affordable options. Yes, it can shoot in 1080p resolution at 30 frames per second. Yes, it can autofocus. 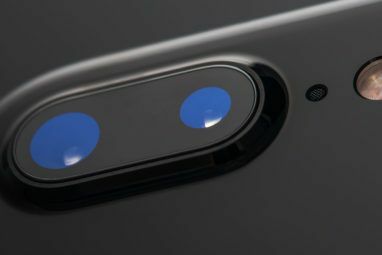 For still images, it can even capture at 15 MP. While the C920 does tilt up and down, it’s a shame that it doesn’t pan side to side. If you like the C920 but can’t abide its lack of adjustability or don’t want to pay that much for a webcam, then consider the Logitech HD C615. The drop in price does come at a cost, though. It can shoot in 1080p resolution but not at 30 frames per second. The image quality isn’t as sharp and the autofocus is slower and less accurate. But compared to other webcams at this price, the C615 absolutely wins. The C615 has a tripod mount like the C920, but the C615’s is better because it can tilt and pan. Plus, the C615 folds down and fits inside a tiny portable case, making it the ideal choice for frequent travelers. The iRush GUCEE HD92 is a newcomer webcam from a not-so-well-known company with a polarizing aesthetic design, but delivers quite the punch for its price. It’s hard to say anything about long-term reliability yet, so I only recommend it if you’re willing to take a risk. But for just one-third the price of the C920, the HD92 shoots in 720p at 30 frames per second with excellent image quality (thanks to its glass lens). It also automatically adjusts image quality in low-light situations. A big downside is that still images are only 2 MP. The mounting clip is sturdy and the webcam itself has tilting and 360-degree swiveling for optimal positioning. Able to shoot in 1080p resolution at 30 frames per second, the F100 is nothing to sneeze at. Combine that with the wide angle and you have a webcam that’s perfect for situations like conference rooms with lots of people. Note that the wide angle does produce a bit of fish-eye distortion. The F100 lacks autofocus, but that shouldn’t be a problem for its designed use cases. If you want to take still images, the F100 captures at 12 MP. It also has 360-degree swiveling for easy positioning. Once you’ve chosen the right webcam for your needs, keep going and learn about how to look good on a webcam. Aside from common sense, there are a few tricks and tips that can help improve your camera presence. And don’t forget that webcams can be hacked. Few things are more unnerving than the idea of some random person spying on you in your house through your own camera! 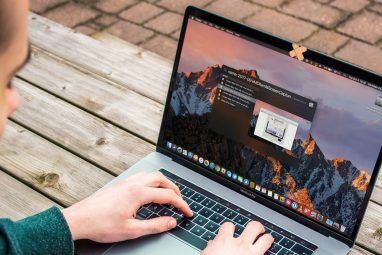 Which is why we recommend covering your webcam when it’s not being used Why You Should Disable or Cover Your Webcam Right Now Why You Should Disable or Cover Your Webcam Right Now If you aren't careful, hackers can easily gain access to your webcam and spy on you without your knowledge. So you have two options: disable the camera or cover it up. Read More . Explore more about: Webcam, Wireless Camera. I keep reading that the C920 is not fully compatible with Windows 10, it has to be used in Win 7/8 to fully use its capabilities and that the high sensitivity of the microphone can be an issue. I am looking for a camera do video conferencing with my family in Europe and Asia. I currently use an old SONY HD camcoder with my media center PC that is connecte dto my TV in my living room. Anyway, my favorite one is still C920, having one of the best video quality. As for the audio, I prefer Blue Microphones' Snowball. The Snowball is a fantastic choice for value, quality, and convenience. Fully recommend it! The logitech C920 is a great camera, i bought one for both me an my girlfriend around 6 months ago. But I'd like to mention that pricing items for an article might not be the greatest idea around black friday sales. Yes, I seen it on sale over the past weekend for around 49.99, but now it is back up to 59.99 on amazon which is still cheaper than when I bought it which was 70 dollars each. It's official "retail value" is still 99.99. Yes 59.99 isn't that much of a big deal, but it is still over the 50 dollar budget and it is definitely not normally priced at 50 dollars. Also, to NOT comment on audio quality is a horrible decision. the microphone quality on the C920 is amazing, from my experience. It blocks out all background noise and works better than the mic on my expensive headset. Thanks Mark, I didn't realize the price was only for Black Friday. The article will be updated ASAP! The webcam can be excellent but take into account that if you want to stream in HD you need a fast internet connection. that's the big thing to consider, both upload and download speeds. Absolutely. Thanks for mentioning that, Alexis. Choppy video and other issues could arise from a bottleneck in bandwidth. All great suggestions, Joel! I own a couple of those Logitech C920 -- the price has definitely come down. It is an excellent web cam that works quite nicely with Windows 8.1. Actually, I purchased two of them by mistake. I purchased the second for my son's Windows 7 computer, but he had needs that transcended the utility of the C920 on a Windows 7 computer. I ended up purchasing an older-model (and cheaper) Microsoft web cam for his computer that fit the bill, and now I have a leftover C920. I guess you live and you learn.